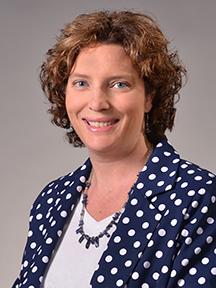 As the Chief Business Officer and Assistant Dean for Business Operations, Dori oversees all budgeting and financial matters within the College of Education and Human Sciences. Dori started her career as an auditor for Deloitte where she became a Certified Public Accountant working primarily with governmental and insurance clients. She began working at the University of Nebraska–Lincoln in the Accounting department as the Cost Accountant for 5 years before accepting a position as the Business Operations Manager in Facilities Management and Planning. In the 4 years at FMP, Dori implemented numerous process improvements, new budget reports and worked with the departments on several changes including an Electronic Time system. Dori left the centralized university structure to become the Assistant Dean for Business Operations for the Hixson-Lied College of Fine and Performing Arts and the College of Journalism and Mass Communications before moving over to CEHS. Her strong financial background and drive to help others enhance their lives makes her a perfect fit for the CEHS team.